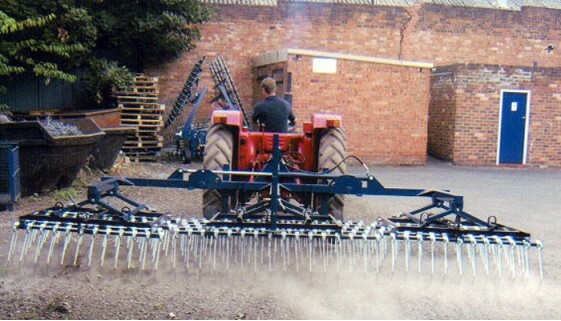 Spring Tine Scarifier - 5 mtr, from Beaco Products. 8mm dia individually attached tines, with 200 tines on the 5 mtr working width. Floating sub frames, hydraulic folding wings, and a robust, heavy duty, framework. 2.3 mtr O/A width when folded for manoeuvrability. 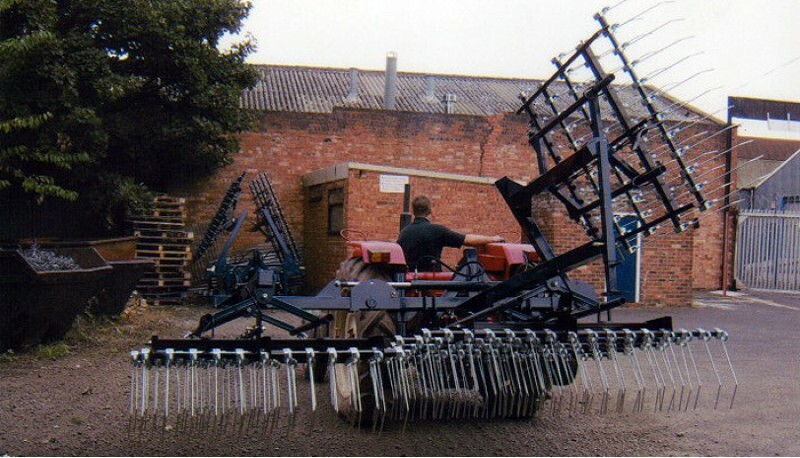 Four individual Tine rake settings for Aggressive to Passive action. Two height adjustable gauge wheels with Pneumatic tyres. Hinges bushed for long service life. Easily adapted to fit a seeder. The model illustrated in the pictures is the BST 500 model. The centre section is 2 mtr wide on both models. Parked height of 2.8 mtrs 5 mtr weight : 680kgs approx.